Here are the 2014 statistics for Musicology Now, formally launched in August 2013, and today completing its first full calendar year. To Be or Not:Is “The Star-Spangled Banner” Really Based on an Old English Drinking Song? Musicology Now invites submissions, now, for 2015. See “Directions to Contributors." Volume 67, no. 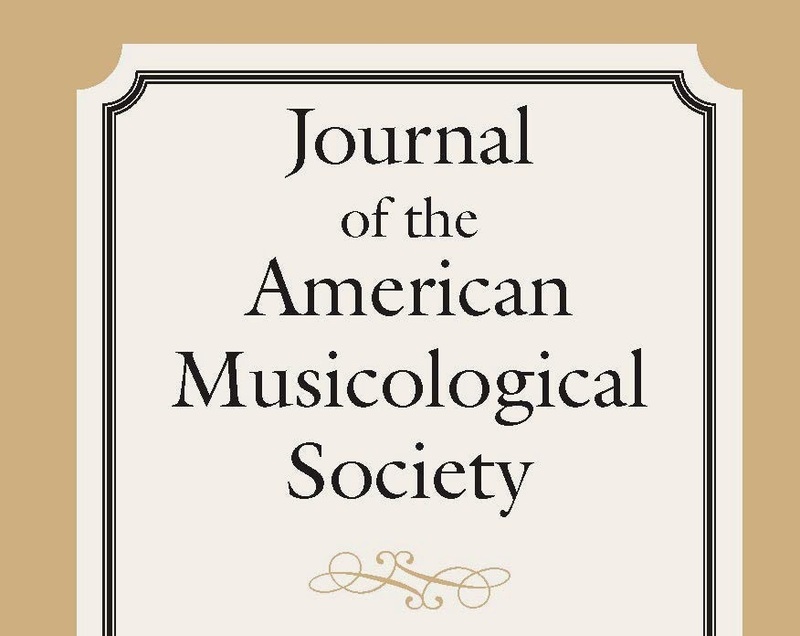 3, of the Journal of the American Musicological Society—or JAMS, as it is familiarly known—is now live online. Two of the articles (Candelaria, Mundy) and the section Digital and Multimedia Scholarship contain embedded multimedia. In Mexico City, 1583, Pedro Ocharte published the first book of vernacular sacred song in the Americas—the Psalmodia Christiana (Christian Psalmody) by Bernardino de Sahagún, a Spanish missionary of the Franciscan Order. Sahagún composed his book of 333 songs in the Nahuatl language during the second half of the sixteenth century to promote the formation of Catholic Mexica (better known as “Aztec”) communities in the central valley of Mexico. Well-received in its day as a primer on tenets of the Catholic faith, the life of Christ, and the virtues of the saints, it was denounced before the Inquisition in the eighteenth century and has otherwise existed in the shadow of Sahagún's monumental Historia general de las cosas de Nueva España, a pioneering anthropological study of the Mexica that did not become widely available until the nineteenth century. 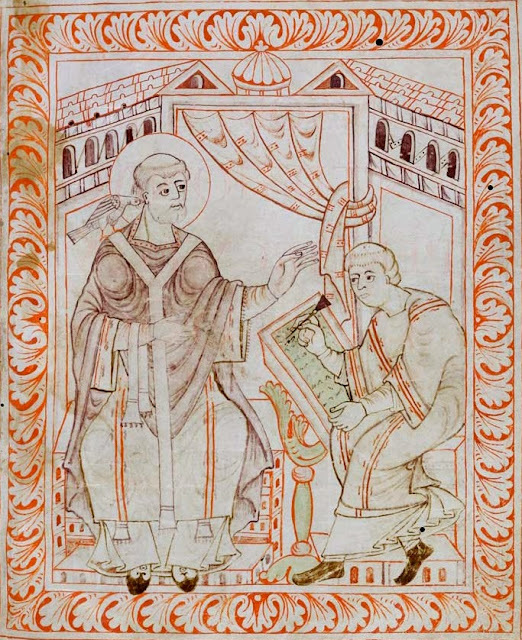 This article repositions the undervalued Psalmodia Christiana as a polished outcome of the anthropological research for which Sahagún is most remembered, setting in relief the understudied legacy of Western plainchant in the Christian evangelization of the New World and, more broadly, the extent to which the Mexica's native traditions were folded into the apostolic work of Catholic missionaries in post-Tridentine New Spain. Lorenzo Candelaria is Professor of Music at the University of Texas at El Paso. Music for the stage has always been embedded in a network of power relationships between states, impresarios, librettists, artists, entrepreneurs, and composers. This article seeks to understand and explain how these relationships functioned in the period when French music drama was subject to a system of licenses, 1806–64. At the center of the inquiry are institutional structures and their relationship to those responsible for both the creation and the cultivation of stage music in the period. They explain the context for the cultural agents and products not only of the main opera houses in nineteenth-century Paris—the Opéra, the Opéra-Comique, and the Théâtre-Italien—but also of the host of smaller, shorter-lived institutions that supported and promoted opera during the period. Mark Everist is a professorial fellow at the Institute of Musical Research, School of Advanced Studies, University of London. As we consider music's role in defining races, cultures, and species, musicologists may benefit from examining more closely the history of conceptions of musical style. That history offers an opportunity to reassess the question of how and how much one of the core tools of music scholarship—the recognition and categorization of musical style—reflects a historical tradition of categorizing culture as a form of essential, biologized difference. This exercise seems particularly relevant in the present moment, when scholarly style categories converge with a renewed interest in evolutionary science. Tracing notions of style from the days of Guido Adler to the present, I argue that classifications of musical style have offered a way for music scholars to explore changing concepts of human difference. By asking what it means to identify a musical style, it is possible to engage more sensitively with music's power to classify human cultures, define human beings, and demarcate the perimeter of the humanities. Rachel Mundy is Assistant Professor of Musicology at the University of Pittsburgh. John Cage's brand of experimentalism underwent a transformation when it was imported into the UK in the 1960s. There, in contradiction to the American's well-known preferences, indeterminacy became twisted up with jazz-derived free improvisation, owing to discourse that stressed performer freedom and creativity while downplaying notions of non-intention and discipline. The authors of these commentaries created the discursive conditions for a mingling of avant-garde traditions, but the material conditions owed more to the efforts of Victor Schonfield, whose nonprofit organization, Music Now, acquired Arts Council subsidies on behalf of a stylistically heterogeneous avant-garde that included artists working with both improvisation and indeterminacy. Schonfield also invited important guests from overseas, including Ornette Coleman, Musica Elettronica Viva, the Sonic Arts Union, the Instant Composers Pool, Christian Wolff, Sun Ra, the Taj Mahal Travellers, and, in 1972, John Cage himself. In the greater ecology of experimentalism that Schonfield created, improvisation became a kind of contact zone where musicians came together from a number of directions, among them free jazz, score-based indeterminacy, text-based intuitive music, Fluxus-inspired instruction pieces, and even psychedelic rock freak-outs. Music Now produced over 80 concerts between 1968 and 1976, when the organization folded. Benjamin Piekut is a historian of experimental music, jazz, and rock, and Assistant Professor of Musicology at Cornell University. Among the many things World War I left in its wake is an impressive and diverse body of musical works. The first commercially successful antiwar song in history, Al Piantadosi’s “I Didn’t Raise My Boy to Be a Soldier,” enjoyed fleeting popularity in the United States between the outbreak of war in August 1914 and the sinking of the Lusitania the following spring. It also gave rise to the parodies “I Didn’t Raise My Boy to Be a Coward” and “I Didn’t Raise My Dog to Be a Sausage,” as U.S. Americans increasingly came to favor military involvement in Europe; drowning out antiwar music even more vociferously was George M. Cohan’s widely performed “Over There!” Charles Ives marked the sinking of the Lusitania with “Hanover Square North, At the End of a Tragic Day, The Voice of the People Again Arose,” the third movement of his Second Orchestral Set. He also composed two songs, “Tom Sails Away” and “In Flanders Fields,” the latter on the poem dashed off by the Canadian surgeon Lieutenant Colonel John McCrae after the death of his friend Alexis Helmer in May 1915. In fact, the “crosses row on row” in the cemetery just north of Ypres (Belgium) that McCrae immortalized were an entirely makeshift affair. Proper headstones were supplied to the Commonwealth cemeteries only in the 1920s and inscriptions cost 3½ pence per letter, excluding the poor. Thus the common soldier was snubbed even in death. Probably the Germans started it. It was they, after all, who were bent on defending Kultur, a point articulated by no less than Rainer Maria Rilke and Thomas Mann. 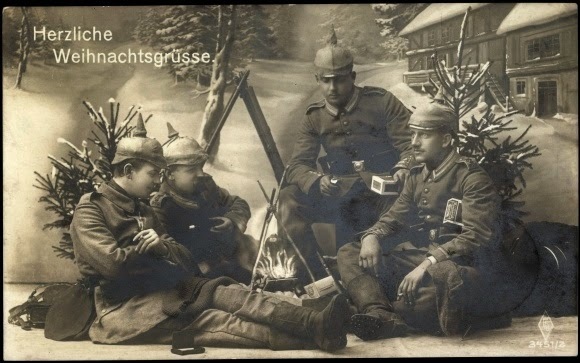 In the days before Christmas Eve they plucked small evergreens from the Belgian woods and arranged them along their trenches, singing “O Tannenbaum” as well as patriotic songs. On 24 December, eighty yards away from the German trenches, Captain Sir Edward Hulse of the Scots Guards decided that “from 10 p.m. onwards we are going to give the enemy every conceivable song in harmony, from carols to Tipperary. . . . Our object will be to drown the now too-familiar strains of ‘Deutschland über Alles’ and ‘Die Wacht am Rhein’ we hear from their trenches every evening.” Hulse and his men began singing and soon cries of “Fröhliche Weihnachten, Tommy!” and “Happy Christmas, Fritz!” rang through the frosty air. At one point, someone ventured into no man’s land and, seeing that no trouble ensued, other soldiers left their trenches to swap cigarettes for beefy bully or chocolate for sausage. Throughout, the men sang. Since 2008, the male vocal ensemble Cantus has toured with its show “All is Calm,” a reenactment of these events. The Minneapolis-based a cappella group comprises five tenors (divided 3 + 2 or 2+ 3), two baritones, and two basses. (Unlike Chanticleer, Cantus uses no male sopranos.) Just as Hulse proposed, Cantus performs a wide range of songs—“It’s a Long Way to Tipperary,” “God Save the King,” “We Wish You a Merry Christmas,” and other traditional carols. There was also “The Old Barbed Wire,” a wry allusion to the British attack at Ploegsteert Wood days before, which resulted in such massive casualties that cadavers were impaled on barbed wire and left there. Other selections include “Minuit, Chrétiens” (O Holy Night), which the French tenor Victor Granier evidently sang to the amazement of all. (Walter Kirchoff, a German tenor invited by Crown Prince Wilhelm, performed for the 130th Würtembergers and within earshot of the French, who gratefully applauded.) Cantus sings not only the German classics “Es ist ein Rös Entsprungen” and “Wie Schön Leuchtet der Morgenstern” but the very songs of which Sir Edward complained, including “Die Wacht am Rein,” which, not two decades hence would tangle with the “Marseillaise” in that famous contrapuntal clash in the World War II film Casablanca. “All is Calm” is conceived as a radio drama. In addition to the superbly executed music, three actors read—in an impressive variety of accents—excerpts from letters and diaries of soldiers who described the event, often with wonderment. (The CD the group has released contains the music alone.) The timbre and quality of the spoken voices shift in fluid counterpoint with the musical selections: matter-of-fact, homespun musings glide into poetic effusions by Siegfried Sassoon of the Royal Welch Fusiliers and Wilfred Owen of the Manchester Regiment, whose verses Benjamin Britten would set in his War Requiem. At the conclusion of each reading, the actors identify the combatants by name. This oral footnote honors a handful of participants in what was surely the most impersonal war to date, emblematized by the gray and khaki uniforms of modern warfare and the ghoulish gas mask, first put to use just months after the truce. All the while, the nine men of Cantus sing, just as in 1914. They stop only for the Last Post, the sounding of a solitary trumpet call still observed in Ypres at 8:00 p.m. every evening. All this has great potential for mawkishness, even in the face of the terrible events commemorated. Melodrama, a staple of early radio that involves speaking over music, might strike some listeners as corny. One could also quibble about a few details. The Menin gate at Ypres, where the Last Post is observed, is not a medieval structure, as the narrator states, but a triumphal arch built in 1927. Perhaps the Belgians could be given greater recognition, as could the colonial troops from India and Africa, who had fought so bravely at the battle of the Marne months before. To them, Christmas meant little, even if the lighted trees might have reminded some of the Hindu Diwali festival, a fertility rite celebrated with a profusion of oil lamps. Likewise, an overly rosy picture that overlooks the pockets of sniper fire along the lines that Christmas Eve should also be avoided. Still, “All is Calm” raises fascinating questions. If, as Weintraub suggests, the truce itself was “dangerously akin to the populist politics of the streets,” then the sing-along that arose spontaneously from the trenches that Christmas Eve symbolizes a broader spirit of rebellion, one not confined to a single, exceptional moment in a vast, sweeping tragedy. 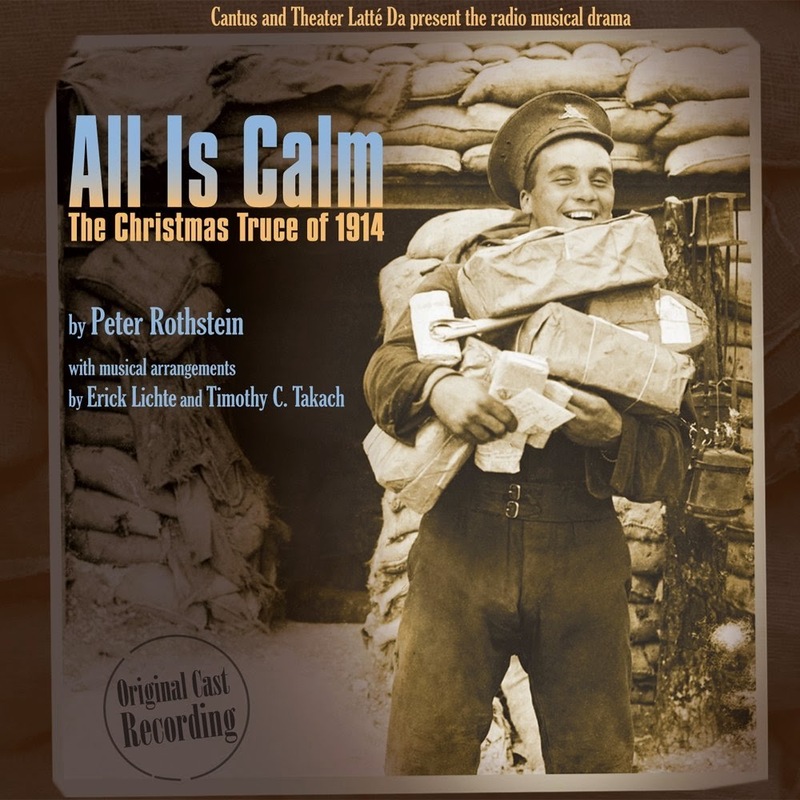 One wonders how we might react to “All is Calm” were it performed not with the polish and nuance of the Cantus singers but with untrained voices, with average men straining for high notes and struggling to remember all the verses to “Silent Night,” as generations of amateur singers have done. “All is Calm” moves the listener through superb musicianship and a compelling array of materials, music and literary. Ultimately, all serve the broad and haunting question, “What if?” What it peace had broken out? What if the truce had been repeated in subsequent years of the war? For indeed, the order against any future fraternization came down swiftly and unequivocally, and the songs of Christmas 1914 were silenced. Four years later, when that strange night was little more than a curious memory, military and civilian dead and wounded totaled thirty-seven million due to what some still call the Great War. Glenn Watkins, Proof Through the Night: Music and the Great War (University of California Press, 2003). Stanley Weintraub, Silent Night: The Story of The World War I Christmas Truce (Free Press, 2001). Carol A. Hess is Professor of Music at the University of California, Davis. Her most recent book, Representing the Good Neighbor: Music, Difference, and the Pan American Dream, was published by Oxford University Press in fall 2013. Perfection, revelation, incarnation, grace, redemption. Such metaphors resonate throughout the history of Mozart reception. We probably should not be surprised at their ubiquity, the ease of their fit over the past two centuries. Mozart’s seemingly infallible musical judgment, accounts of his miraculous ease, coupled with the Romantic notion of music as a mystically potent, invisible force makes perceptions like these seem second nature. If Mozart’s music has not maintained an explicitly Christ-like presence, it has at the very least been perceived as a locus of goodness. And yet one does not experience anything like the perfected motion of Christian temporality. Mozart’s music offers no master narrative of Paradise Lost and Regained, of overcoming and salvation. Rather Mozart stops just this side of damnation, and just this side of redemption. A kind of innocence is always in play, but not as origin and telos. Instead I have spoken of an “ever renewable loss of innocence.” To accept this notion is also to lay claim to an ever renewable embrace of innocence. Mozart teaches us that innocence can be a continually available rejuvenation of spirit rather than an all-or-nothing quality, once lost, lost forever. In broad cultural terms, it is tempting to interpret the end of the age of Enlightenment as a loss of innocence, a loss of innocent faith in the transparency of the world. Romanticism then emerges as the opening up of a new space, both within and beyond, a space fashioned by loss but enchanted by longing. Mozart meets us at the threshold of this space, which is more or less the burden of E. T. A. Hoffmann’s assessment of Mozart in relation to Haydn and Beethoven. Transcendence and interiority are both intimated, rather than achieved. This is how I have chosen to hear those emergent passages that seem to lift off from the prevailing musical discourse, like a visitation of altered consciousness. But even more generally, Mozart’s music can be heard to hover: between innocence and experience, ideality and sensuousness, comedy and tragedy, sympathy and mockery, intimacy and transcendence. It offers no blind faith yet no paralyzing doubt; it is not just a longingly imperfect reach for the infinite (Schiller’s sentimental art) nor just a comfortably perfect grasp of the finite (Schiller’s naïve art); it is childlike yet knowing. —from “Knowing Innocence,” the final chapter of Mozart's Grace (Princeton UP, 2013), 165–66. Scott Burnham is Scheide Professor of Music History at Princeton University. His scholarly interests include the history of tonal theory, problems of analysis and criticism, and 18-and 19th-century music and culture. Burnham's previous book, Beethoven Hero (Princeton UP, 1995), won the 1996 Wallace Berry Award from the Society of Music Theory. Mozart's Grace won the American Musicological Society's 2014 Otto Kinkeldey Award, given annually “to a musicological book of exceptional merit published during the previous year.” It is the longest running of the society's awards, having been presented since 1967. The second of our video interviews reflecting on American musicology features Ellen T. Harris, who became president of the American Musicological Society in November 2014. Ellen T. Harris is professor emerita at the Massachusetts Institute of Technology and president of the American Musicological Society. The book they talk about here is George Frideric Handel: A Life with Friends (W. W. Norton, 2014); Harris's previous book, Handel as Orpheus: Voice and Desire in the Chamber Cantatas (Harvard UP, 2001), was awarded the 2002 Otto Kinkeldey Award from the American Musicological Society and the 2002-03 Louis Gottschalk Prize from the Society for Eighteenth-Century Studies. Another boy who, earlier, knew the portrait was John Eliot Gardiner. It had been left during World War II by its German owner for safe-keeping with Gardiner's father in Dorset. “I passed it every day of my life until 1951,” he writes, “when it was sold to Bill Scheide” (see also the opening paragraphs of Gardiner's Bach: Music in the Castle of Heaven, Knopf, 2013). The Scheide Bach portrait has been bequeathed to the Leipzig Bach-Archiv, of which Scheide was founding curator and later director emeritus. An accomplished pianist, organist, and oboist, he graduated from Princeton in 1936 and took a MA at Columbia in 1940 with a thesis on Bach. Identifying the centrality of the cantatas early on, he established the Bach Aria Group in 1946 (including among others Eileen Farrell and Julius Baker) and led it through 1980. He contributed some 10 articles to the Bach-Jahrbuch between 1959 and 2003. What musicians might not know is that, at the request of Thurgood Marshall, Scheide provided the primary financial backing for the lawsuit Brown vs. Board of Education (1954); then went on to become the most generous single donor to the NAACP Legal Defense Fund. The family fortune (Standard Oil) and passion for collecting books devolved to him from his grandfather, William T. Scheide, and father, John H. Scheide; Bill's room in the family house was just over the library. The Scheide Library is now housed in the Firestone Memorial Library at Princeton; it holds all four early printed bibles, first editions of Shakespeare and Milton, and manuscripts of Bach, Beethoven, and Schubert. At Princeton Scheide also financed the remodel of the Woolworth Center of Musical Studies to include a three-story facility now called the Arthur Mendel Music Library; endowed a professorship in music history and and undergraduate scholarship program; and underwrote a wide variety of initiatives in the humanities and arts. The Scheide Concerts at Princeton have in recent years produced an annual birthday concert to benefit worthy causes in the region. Scheide made a major gift to the American Musicological Society's 50th-anniversary capital campaign (AMS 50) in memory of Arthur Mendel, funding in perpetuity a portion of one of the AMS 50 dissertation-year fellowships, and was a donor to the 75th-anniversary campaign (OPUS). Scheide's 80th birthday was celebrated with the publication of The Same Purposeful Instant: Essays in Honor of William H. Scheide (Princeton University Library) and an honorary doctorate; his 90th, with the publication of For William H. Scheide: Fifty Years of Collecting: 6 January 2004 (Princeton University Library); his 95th, with a special issue of the Newsletter of the American Bach Society; his 100th, with conspicuous general merriment, televised. Scheide died on November 14, 2014, at his home in Princeton, New Jersey. A formal obituary will appear in a forthcoming issue of the American Musicological Society's Newsletter. Special issue of Bach Notes: the Newsletter of the American Bach Society on the occasion of Scheide's 95th birthday. We are pleased to present the first of several video interviews reflecting on American musicology. Christopher Reynolds, immediate past president of the American Musicological Society, considers initiatives undertaken during his term of office and what he sees as the state of the discipline today. Christopher Reynolds is Professor of Music at the University of California, Davis. His latest book, Wagner, Schumann and the Lessons of Beethoven’s Ninth, appears with the University of California Press in May 2015. Music can be a problematic topic for a book. Unlike novels or poems, plays or paintings, musical works cannot easily be represented in words or visual images. Furthermore, musical notation and detailed technical description can feel opaque to many music lovers. The net result has been a looming gap, for centuries now, between music as it is understood by musicians and the often superficial ways in which it has tended to be written about in books, magazines, and newspapers. In order to try to fill this gap, many academic and niche publishers have developed a music-centered series with a relatively narrow focus, such as opera, American music, or music in one century. When, in the early 1990s, University of Rochester Press asked me to help them start an Eastman Studies in Music series, I agreed but urged that it be kept broad in regard to chronology, repertory, and scholarly approach. The dozens of books that have resulted range from historical studies of Renaissance-era Christian chant to close analyses of pieces by Bach and Ravel and from primary source material on Debussy and more recent figures (such as Steve Reich, György Kurtág, and conductor Claudio Abbado) to detailed accounts of trends in music and musical life in North America, the Czech lands, or mid twentieth-century China. By casting its net wide, the Eastman Studies in Music series provides a wide range of critical and nuanced perspectives on musical composition and performance, on close analysis of music’s formal and expressive qualities, on musical performance across the centuries and around the world, and on the many historical and cultural contexts that have shaped music and its meanings for those who make it and love it. In Fall 2013 the series published its hundredth title. 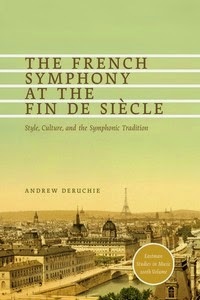 The French Symphony at the Fin de Siècle: Style, Culture, and the Symphonic Tradition is a splendid monograph by Andrew Deruchie, a young Canadian scholar who holds the position of Lecturer in Music at Otago University (New Zealand). Deruchie’s book focuses on the special challenges that composers in France faced in the late nineteenth and early twentieth centuries when composing in a genre previously dominated by German-speaking composers (from Haydn to Brahms). Deruchie details the creative solutions to this dilemma that were adopted in one fascinating symphony after another by Camille Saint-Saëns, César Franck, Édouard Lalo, Vincent d’Indy, and Paul Dukas. (He had to leave out one of my favorite French symphonies: the Chausson. Perhaps he’ll write an article on it!) Outside reviewers praised Deruchie’s manuscript effusively, one noting that it offers “insights on every page.” The resulting book demonstrates the ongoing commitment of the University of Rochester Press to providing scholars and music lovers alike with books that add to previous knowledge about important topics yet also are engaging to read and attractive to the eye and in the hand. In the twenty-five years since the Press’s founding, the Eastman Studies series has published books on such varied topics as music publishing in sixteenth-century Venice, fugal theory in the Baroque era, the suites of Johann Sebastian Bach, and “the pleasure of modernist music” (e. g., Schoenberg, Stravinsky, Ligeti’s music in the film 2001). The initial decision not to narrow the focus of the series to one period or genre proved a big advantage: we could accept any book that was on an interesting and important topic, was engagingly written, and made a substantive contribution. The Eastman series has made available the first detailed studies of such important composers as Wilhelm Friedemann Bach, Marianna Martines (whose works were performed publicly in Vienna during the Haydn-Mozart era), and, from the twentieth century, Dane Rudhyar, Luigi Dallapiccola, Leon Kirchner, Jean Barraqué, and Claude Vivier, plus three noted organist-composers: Charles-Marie Widor, Maurice Duruflé, and Pierre Cochereau. 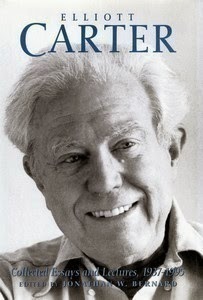 Elliott Carter’s Collected Essays and Lectures (1996) quickly became one of the Press’s all-time best-sellers (in hard cover and paperback) and remains in print today. A book—like “the hills”—can be alive with the sound of music. The URP has provided CDs for Eastman Studies books on such topics as Indonesian music (The Gamelan Digul), the great Chinese erhu player Abing (Musical Creativity in Twentieth-Century China), and, more recently, some forgotten but charming—and socially revealing—German-language operettas composed in America (Music in German Immigrant Music Theater: New York City, 1840–1940). One title required two CDs and got them: Composing with Japanese Instruments, a practical guide (widely used in its original Japanese version) by the world-renowned composer Minoru Miki. In recent years the series has released four books for which the author created a parallel website that contains additional musical examples (and sometimes audio versions thereof). The combination of book and website seems the wave of the future, and the URP’s willingness to catch this wave has been welcomed by our authors. Our books have been extremely well received in the scholarly world as well as by reviewers in the general press (e.g., Times Literary Supplement and BBC Music Magazine). Numerous excerpts from reviews are collected on the page for the respective book at the Press’s website. Particularly heartening was this phrase from a review by James Garratt in Music and Letters of Scott Messing’s two-volume Schubert in the European Imagination, which, he said, “offers yet more evidence that the University of Rochester Press has become a highly significant player in the field.” Several books have won nationwide prizes. A month ago, Drew Massey’s book John Kirkpatrick, American Music, and the Printed Page became the first winner of the ASCAP Virgil Thomson Award for Outstanding Music Criticism. The URP/Boydell blog entitled From Beyond the Stave brought wide public attention to books in the Eastman Studies series. The blog is now “frozen,” but all its posts can be read HERE. New books in the series are described in an electronic newsletter, The Posthorn. A substantial number of Eastman Studies books dealing with music in the United States have received a welcome subvention from the Howard Hanson Institute for American Music, thereby helping to lower the price to libraries and individual purchasers. Eastman Studies continues to promote music scholarship written in a clear and engaging manner. The boards of the University of Rochester Press and of Boydell & Brewer anticipated the need for high-level books on music and appreciated that a series run by a team of scholars could meet that need. (I am assisted by an editorial board of six, including my Eastman colleagues Roger Freitas, Patrick Macey, and Robert Wason, plus Bonnie C. Wade, from the University of California, Berkeley, Sarah Fuller from SUNY Stony Brook, and William Caplin from McGill’s Schulich School of Music.) The work of the series is supported by URP’s alert editorial and production team. And I am delighted that URP two years ago established a parallel series under the direction of my Eastman colleague Ellen Koskoff: Eastman/Rochester Studies in Ethnomusicology. In a time when funding for arts and humanities projects is under great strain, Boydell & Brewer and the University of Rochester Press are committed, in part through these two series—Eastman Studies and the new Ethnomusicology series—and also through Boydell’s own extensive music titles to providing a forum for scholarly debate and research. 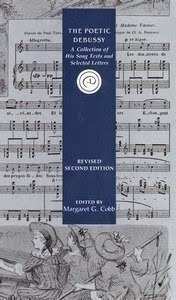 Working together, Boydell—which likewise follows the model of the “broad umbrella” but, in addition, contains several more specialized series—and the University of Rochester Press demonstrate that serious research on music can still be published and at least break even for the publisher, even in the tight economic situation of the early twenty-first century. Ralph P. Locke is Professor of Musicology at the University of Rochester’s Eastman School of Music. Winner of the ASCAP-Deems Taylor Award for six of his articles, his most recent book is Musical Exoticism: Images and Reflections (Cambridge UP, 2009). His “prequel” to that book is appearing in April 2015 (likewise from Cambridge): Music and the Exotic from the Renaissance to Mozart. Bernstein's scholarly writings include works on Renaissance Venetian music, 19th-century opera, and women’s studies. Her book Printing in Renaissance Venice: The Scotto Press (Oxford UP, 1998) won the Otto Kinkeldey Award. She has also received fellowships and grants from the Guggenheim Foundation, the National Endowment for the Humanities, the American Council of Learned Societies, the American Philosophical Society, and the Gladys Delmas Foundation for Venetian Studies. She was elected to the American Academy of Arts and Sciences in 2005. She spent many years on eight different American Musicologcial Society committees, and served as president 2008–10. Cusick's scholarship, impressive for its range and impact, encompasses Caccini and Monteverdi, gender and sexuality in early modern Italy and contemporary North America, and pioneering work on the use of noise, music, and gender coercion in the detention and interrogation of prisoners in the ongoing twenty-first-century war on terror. She has received numerous fellowships and awards including the Society for the Study of Early Modern Women Book Award (2010), the Philip Brett Award given by the LGBTQ Study Group of the American Musicological Society (2007), and a fellowship from the American Council of Learned Societies. Within the American Musicological Society, Cusick has served terms on the Board of Directors, the Program Committee, the Committee on the Annual Meeting, and the Publications Committee. Prizer's scholarship on the music of the Renaissance is remarkable in its erudition, quantity, and significance. He has published more than thirty articles on such topics as musical patronage, secular vocal music of northern Italy, and the source of the L’Homme armé tradition. His work draws on extensive archival sleuthing, sensitive musical analysis, and theories of gender, and it has appeared in leading journals and edited volumes. Among his many editions are the Libro Primo de la Croce: Canzone, Frottole, and Capitoli, and Courtly Pastimes: The Frottole of Marchetto Cara. Prizer has twice been a fellow at Villa i Tatti (the Harvard University Center for Italian Renaissance Studies) and has received grants from the National Endowment for the Humanities, the National Humanities Center, and the American Philosophical Society. He has been on the award committees for the H. Colin Slim and Claude Palisca prizes, and was editor of the Journal of the American Musicological Society. Roesner's editions of some of the core manuscripts of the 12th and 13th centuries, including the Roman de Fauvel, Florence 29.1, and the Notre Dame tripla and quadrupla in the Magnus liber organi are an exceptional achievement. 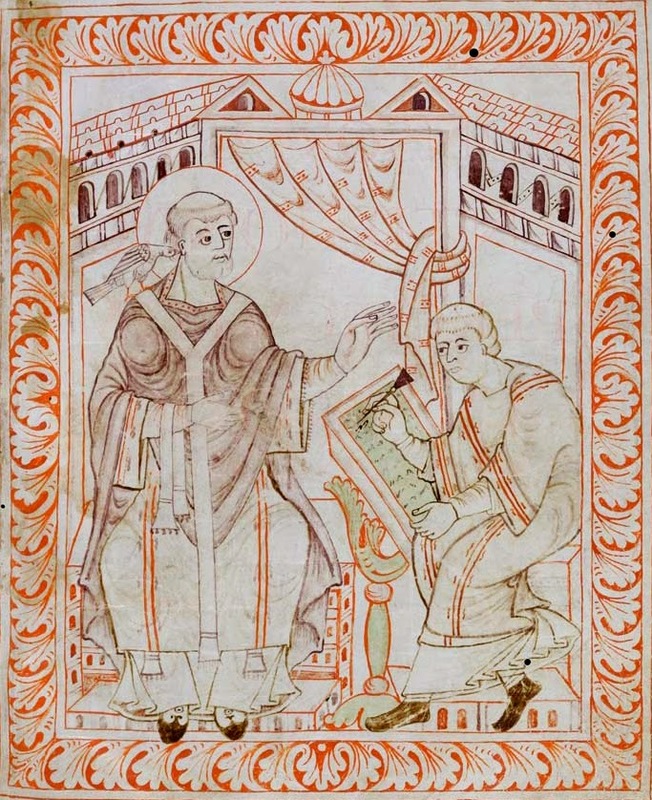 In these editions he demonstrates his expertise in a range of related fields: 12th- and 13th-century polyphony, Gregorian chant, history of liturgy, music theory and aesthetics, paleography, and performance practice. He has received grants from the Guggenheim Foundation, the Herzog-August Bibliothek in Wolfenbüttel, and the government of Monaco. In the American Musicological Society, Roesner has served on the Finance Committee, the Publications Committee, and the Committee on the History of the Society. A prolific scholar and performer, Griffiths is an authority in 16th-century Spanish music. His publications include Políticas y practices musicales en el mundo de Felipe II, La América española: proyecto y resistencia, and Neapolitan Lute Music (A-R Editions). As a performer (vihuela, medieval and Renaissance lutes, theorbo, chitarrone, and baroque and nineteenth-century guitars), he has recorded numerous CDs. His honors include election to the Australian Academy of the Humanities and to a term as president of the Musicological Society of Australia. Additionally, for his contributions to Spanish culture, he was knighted by King Juan Carlos II of Spain, making him an Oficial de la Orden de Isabel la Católica. Konrad has published distinguished books on Bach and Handel, Mozart, and Brahms, a life and works of Mozart, and Beethoven’s string quartets, and has edited volumes for the Neue Mozart Ausgabe. For these he has been much honored, including the Silver Mozart Medal of the Internationalen Stiftung Mozarteum Salzburg, the Dent Medal of the Royal Musical Association, and the Hermann Abert-Preis from the Gesellschaft für Musikforschung. Professor Konrad has served on many boards, including that of RISM (Répertoire International des Sources Musicales), and has been board chairman of both the Akademie für Mozart-Forschung der Stiftung Mozarteum in Salzburg, and of the Robert-Schumann-Forschungsstelle in Düsseldorf. Washington University in St. Louis and the distinguished 19th-century music historian Hugh Macdonald have announced the online publication of the first comprehensive Bizet Catalogue, HERE. The project was designed, from the outset, as a website, allowing corrections, revisions, and updating as they become necessary. It was developed and is managed by the Humanities Digital Workshop at Washington University and deposited at the university's Olin Library. 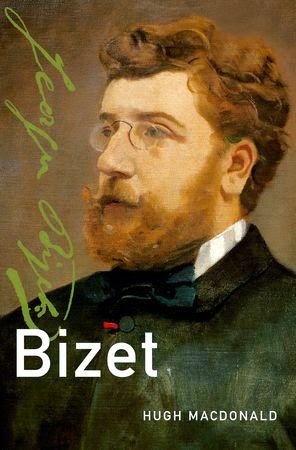 This is primarily a list of Bizet's works, providing essential information about the history and content of each one. It gives information on manuscript and printed sources, on documentary materials relating to the composition, performance and publication of each work, and is intended to provide a full historical documentation of Bizet's work as composer and transcriber. The Catalogue appears near-concurrently with Macdonald's new life-and-works, Bizet (Oxford UP, 2014), for the Master Musicians series, where it supersedes its long-standard predecessor by Winton Dean (1975). Hugh Macdonald is best known as General Editor of the New Berlioz Edition and editor of Les Troyens (1969), Béatrice et Bénédict (1980), and Benvenuto Cellini (1994ff. ); the edition concluded more or less on schedule, with the last volume to appear (21: Miscellaneous Works and Index) dated 2005. 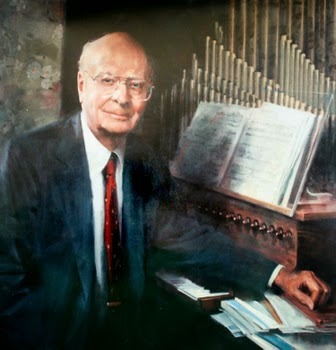 After appointments at Cambridge and Oxford, Macdonald was named Gardiner Professor of Music at Glasgow University in 1980, where he remained until 1987, when he was appointed Avis Blewett Professor of Music at Washington University in St. Louis. The Macdonalds now reside in Norwich, England. In early November musicologists and theorists converged on Milwaukee from all over North America (and not a few points more distant still: Europe, China, Australia, Indonesia ... ) for the joint annual meetings of the American Musicological Society and Society for Music Theory. On October 30, just as folks were packing their bags, a naughty column on the program for Milwaukee appeared in the Montreal Gazette HERE (if you must). It was answered on November 4, stirringly, in our view, by a graduate student from McGill, Daniel Donnelly, in the blog School of Doubt under the title “What about the Beethovenz?” HERE. We repost Donnelly's essay in full just below. In point of fact the subject matter addressed in the papers, the Q&A, study groups formal and informal, and the staggeringly weighty displays of recent books left precious few stones unturned. (The coveted Kinkeldey Prize went to a book on Mozart, Scott Burnahm's Mozart's Grace, Princeton UP, 2013). More from Milwaukee in later posts. Meanwhile, the best line, we thought, came in Margot Fassler's plenary address on Hildegarde of Bingen: see the caption. I love going to conferences. It’s probably my favourite part of being an academic because it’s one of those very few opportunities you get to be surrounded by people who are not only excited about your discipline, but who are truly in a position to be excited about your scholarship. It can be even more exciting when your institution sends a particularly large contingent to a major conference, since you get to feel like part of an important group of people who are making real progress in your field. This year, my doctoral institution has the honour of sending the largest group of scholars to the biggest conference in my field. It’s a gratifying feeling, or at least it was until the local know-nothing music critic wrote a long op-ed in the paper decrying the state of the field. You see, he’s mad that contemporary musicology isn’t engaging in enough hero-worship of the “great masters,” thanks to an ever-broadening focus on musics of different times, places, and communities. Suffice to say, I was pretty annoyed. So annoyed, even, that I wrote the paper’s editors a letter. Since they’ve not seen fit to print it, I’ve decided to share it here for all of you. We were disappointed–if not especially surprised–to see Arthur Kaptainis’s decidedly anti-intellectual take on this year’s joint meeting of the American Musicological Society and Society for Music Theory (AMS/SMT) appear in your publication. Mr. Kaptainis has never been particularly amenable to the idea that academics might have interesting things to say about music that he doesn’t personally find important or culturally worthy of study (viz. his recent conniption over the publication of a collection of scholarly essays on Lady Gaga [ed. note: both this article and a lovely response to it by McGill Professor David Brackett have since been removed from their website]), and it’s unfortunate that this year’s programme seems to have upset him so greatly. Let us first assuage his fears: the study of the classical canon Mr. Kaptainis admires with such ardour is not going anywhere. Many of us, in fact, teach that repertoire every day and love it deeply. It is also—and let this point be emphasized—plainly absurd to draw sweeping conclusions about the state of contemporary musicology based on whether or not certain composers’ names appear in a Ctrl+F search of a conference programme. Mr. Kaptainis can rest assured that the old standbys will be receiving plenty of attention at the meeting this year, just as they always have and will continue to do for the foreseeable future. That said, we have trouble determining exactly why Mr. Kaptainis should view the growth of the professional study of music to include new times, places, and cultural perspectives as such a negative development. What makes it so deserving of his utter disdain? Is it really his belief that only the works of a few long-dead German men are “great” enough to deserve professional scholarly consideration? Are the notes on the page so much more valuable to us as musicians and lovers of music than the “eddies of social meaning that swirl around” them? Is it even possible to disentangle them in the first place? It may well be that Mr. Kaptainis’s dismay derives from some fundamental misunderstanding of the purpose of academic conferences. This is a condition for which he might be forgiven, having as he does a background in journalistic criticism rather than scholarship. To clarify: the purpose of a meeting such as the AMS/SMT is not to pass judgment on the relative sublimity or ticket-worthiness of the MSO’s latest rendition of a Beethoven symphony, nor is it to gush with pathos for poor Cio-Cio-san as she meets her sorry fate for the thousandth time. Rather, it is to present new research to our peers, and in so doing push up against the boundaries of our current understanding of the culture, practice, and creation of that mysterious and wonderful, deeply and integrally human thing we call music. It should come as little surprise, then, that Mr. Kaptainis’s cursory googling of a few presentation titles did not prove especially enlightening for him: original research is, basically by definition, new. It’s not even permitted on Wikipedia! And yes, the professional study of music, like every other academic discipline, can sometimes involve the kind of jargon that limits its accessibility for the general public. But again, the AMS/SMT meeting is a not a public venue; it is intended for scholarly exchange among academic practitioners. Anyone interested in what it is that we do is encouraged to seek out the many public talks, pre-concert lectures, videos, articles, and blog posts that we produce in order to share our passion for music with the public at large. Lastly, we would like to remind Mr. Kaptainis that graduate students and independent scholars are in fact professional researchers, and deserve to be afforded the same courtesies as full-time university faculty. This includes, perhaps more than anything else, the right to be properly cited in public discussions of their work. Here are, for the record, some of the researchers whose work Mr. Kaptainis discussed and/or disparaged anonymously in his article: Samuel Dwinell (Cornell), Angeline Van Evera (Vienna, VA), Anne Searcy (Harvard), Jacob Walls (U. Oregon), Mimi Haddon (McGill), and Dan Donnelly (McGill). To prevent future misunderstandings about the content of individual scholars’ presentations, we also invite Mr. Kaptainis to actually read the (freely available) abstracts on the conference website. Doing so might well spare him from further confusion, not to mention save him the work of googling all those terms he does not understand. Failing that, he is always welcome to ask us any remaining questions about our work directly. Answering questions about music is, after all, our job. No office hours this week, though—we’ll be in Milwaukee. Daniel Donnelly will, a few hours after this posting appears, be able to append the letters Ph.D. to his bona fides. His dissertation for McGill is titled “Cantar a la venessiana”: Venetian-language polyphony in the secondo cinquecento. A musicologist who posits that J.S. Bach’s second wife was a homewrecker who drove his first wife to suicide has become an improbable celebrity to feminists and international media, but his theory is extremely tenuous and has no support from experts in his field. Martin Jarvis, a music professor in Australia’s northern territory, has used handwriting evidence to deduce not only that the Bach family was more troubled than history has previously known but that Anna Magdalena Bach, the second wife of Johann Sebastian Bach, composed his beloved Cello Suites, as well as the aria from the Goldberg Variations for keyboard and the first prelude from the collection known as The Well-Tempered Clavier. Jarvis’s authorship thesis has received media attention going back at least to 2006, but it is resurgent thanks to an upcoming documentary, Written By Mrs Bach, on which he collaborated with the British composer Sally Beamish and Arizona-based forensic document examiner Heidi Harralson. The film will be screened by the British Academy of Film and Television Arts next week. Since the beginning of this week, Jarvis’s thesis has received fully credulous treatment from the Telegraph, Jezebel, The Washington Post, USA Today, the Daily Mail, France Musique, and other media. But there is no persuasive evidence for the theory, which rests on a very subjective analysis of manuscripts that have long been recognized as having been handwritten by Anna Magdalena Bach. In his subsequent promotion of the thesis, Jarvis has presented no new evidence, though he has expanded his claims to include accusations about the personal history of the Bach family. These are purely conjectural and have no documented support, even though the Bachs were a highly literate and musical family, some of whose members left personal records. Experts in the field have grown impatient with Jarvis’s claims. Yo Tomita had published ‘Anna Magdalena as Bach’s Copyist’ in Understanding Bach 2 (2007), in response to the publicity afforded to Martin Jarvis’s claims that Anna Magdalena had composed rather than copied the Cello Suites. Since Jarvis was present and since the Dialogue meeting had just heard his description of Forensic Document Examination Techniques, Tomita used the opportunity to demonstrate the Dialogue format at its best: incisive, good humoured, uncompromising, and intellectually playful. Jarvis admitted that he felt like Galileo, on trial whilst still believing passionately that another explanation lay behind the calligraphic changes. Tomita responded deftly, and as the conversation turned towards the incontrovertible evidence that there were indeed women composers in the eighteenth century, the session ended with magnanimity. Tomita, an expert on the manuscript sources of Bach’s works, says Jarvis’s problem is not that he has been shunned by Bach scholars but that his evidence has been disproved by them. In effect, Jarvis claims that the quality of the handwriting and corrections shows that Anna was writing in a creative mode rather than merely copying from Johann Sebastian’s own manuscript, and thus her copy of the Cello Suites should be considered her composing score rather than a copy. The positioning of the Jarvis thesis as a step forward for feminism is also strange, however, given that Jarvis has taken his theory to the point of making claims about two women that would be considered libelous if made against living persons. “As I have said already, nothing is known directly of the situation that led to Johann Sebastian marrying Anna Magdalena,” Jarvis wrote in April. Whether they were involved romantically before the death of Maria Barbara or whether they became lovers after her untimely death is simply unknown. It does appear, though, that there is a strong likelihood that they were in some way involved prior to Maria Barbara’s death in 1720: my own research has placed Anna Magdalena firmly in Johann Sebastian’s life in 1720 – perhaps even living in the Bach household. Some interesting questions arise. For example, did Anna Magdalena accompany the Prince and his Kapellmeister Johann Sebastian Bach on the Prince’s sojourn to Carlsbad in 1720? That was the year that Maria Barbara died mysteriously. Given the very odd circumstances surrounding her death and burial the question is: did Maria Barbara commit suicide? Elsewhere, Jarvis claims that despite her clearly full schedule as a mother and assistant, Anna had ample time for composition thanks to help with chores from the sister of Maria Barbara, who continued to live in the extended Bach household for years after Maria Barbara’s death — apparently untroubled by the suicide-inducing adultery between her dead sister’s husband and his current wife. Jarvis also does not specify what was mysterious about her burial, or for that matter her death — for which there is no definitely known cause but which has been explained by either an illness or complications during pregnancy. It is worth noting that Anna Magdalena Bach has long had an honored place in history as the composer’s wife and musical associate, as well as the namesake of the instructional keyboard masterpiece Notebook for Anna Magdalena Bach. The claim that she engaged in an adulterous affair with Johann Sebastian Bach is, as Jarvis acknowledges, wholly unsupported. 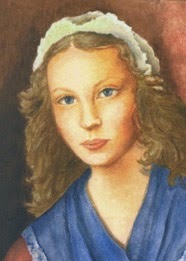 Maria Barbara Bach, a cousin of the composer, also has a prominent position in Bach history. In his 2013 book Bach: Music in the Castle of Heaven, John Eliot Gardiner notes that she actually had a more direct claim than her husband to the family’s longstanding musical lineage. 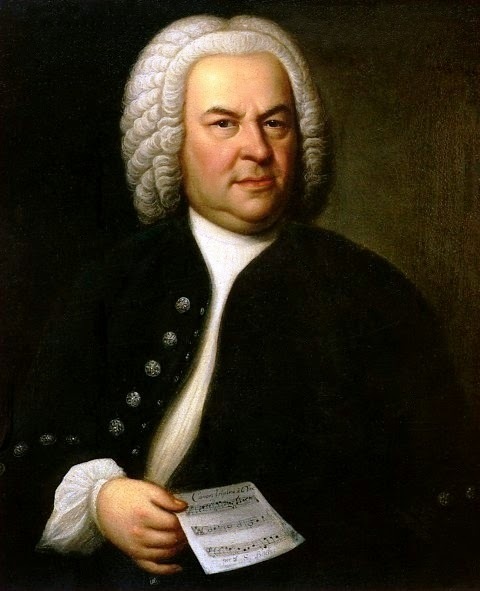 “Sebastian, the acknowledged musical genius of the family,” Gardiner writes, “did not carry the DNA of the more creative family line and of [Johann Christoph Bach of Eisenach] in particular (though his first two sons, Wilhelm Friedemann and Carl Philipp Emanuel, did, their mother being the daughter of Johann Michael Bach).” There is also no reason to believe that Maria Barbara wasn’t a Lutheran in good standing, making the insinuation of suicide an affront to a notable woman. Tim Cavanaugh is news editor of National Review Online. Follow him on Twitter and Facebook.